GearBuyer has a large selection of Kelty Sleeping Bags for camping and backpacking in different shapes and fill insulation. Synthetic Sleeping Bags perform better than Down Sleeping Bags when wet, but Down Sleeping Bags are warmer and more compressible than Synthetic Sleeping Bags for the same weight. Kelty Compression Stuff Sack - The Compression Stuff Sack by Kelty. Kelty's Compression Stuff Sacks increase the available room in your backpack by compressing sleeping bags, clothing, and other gear. FEATURES of the Kelty Compression Stuff Sack. SPECIFICATIONS of the Kelty Compression Stuff Sack. Made of water-resistant Nylon ripstop with DWR finishSelf-stuffs into storage pocketFour vertical compression strapsCan be buckled to the outside of a packQuick-release buckles. Kelty Cosmic Down 20 - You venture out to explore the natural world and marvel at its placid beauty, but when the night chill kicks in, nothing matters but staying warm inside your Kelty Women's Cosmic 20/EN 20 Degree Down Sleeping Bag. Thanks to this box-baffle, mummy bag's 550-fill down insulation, draft collar and tube, and form-fitting hood, you'll get a cozy night's rest while camping in all but the cold winter months. And, at under three pounds and bursting with color, you'll want to take the Cosmic with you everywhere. 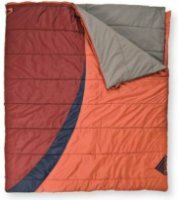 Kelty Coromell 0 Degree Sleeping Bag - The Kelty Coromell 0 Degree Sleeping Bag. 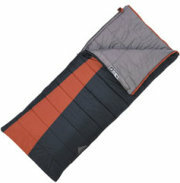 Look to this spacious 0° degree sleeping bag when you need cozy warmth and room to roll over for a good night's sleep. Form fitting hood unzips from bag for warmer weather useBox baffle constructionSleeping pad security loopsInsulated hood baffleGround-level side seams and differential cut for maximum warmthZipper draft tube with anti-snag designTwo-way, locking blanket zipperZippered chest pocketTwo bags can be zipped together to form a double-wide bagHang loops for storageInternal liner loopsCan be fully unzipped and opened flat for use as a blanketStuff sack includedMicro Fat Man and Ribbon drawcordsCaptured cordlock. 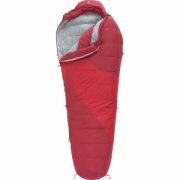 Kelty Light Year 20 Degree Down Sleeping Bag Regular - The feature rich Kelty Women's Light Year 20 Degree Sleeping Bag is the perfect bag for minimalists who demand quality. This three-season 600 fill down bag offers all the features without all the weight. Wave stitchingSlant-baffle constructionTop baffle collarEfficient, form-fitting hoodSleeping pad security loopsInsulated hood baffleGround-level side seams prevent heat from escapingZippered chest pocket58", two-way locking zipperZipper draft tube with anti-snag designMicro captured cordlockUltralight compression stuff sack includedInternal liner loopsDifferential cut to maximize loft and warmthHang loops for storageMicro FatMan and Ribbon drawcords. Kelty Mistral 20 Degree - Kelty Womens Mistral 20 Degree Camping Sleeping Bag - The Womens Mistral 20 Sleeping Bag by Kelty is the perfect balance between value and a sounds nights sleep. The Mistral is the perfect go-to bag if you are looking for warmth and comfort. It is ideal for budget-conscious campers who want reliable comfort for their winter camping endeavors. It comes with extra Cloudloft insulation over the chest area and a zipper draft tube to keep out the cold. 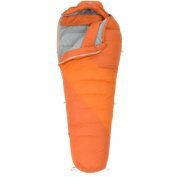 Kelty Cosmic Down 0 - Kelty Cosmic 0F Down Sleeping Bag - Long Size - 2013 Model Features. 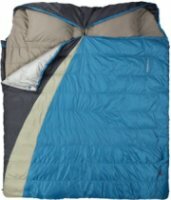 Kelty Cosmic 0F Down Sleeping Bag. 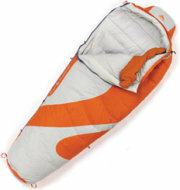 The Kelty Cosmic 0F Down Sleeping Bag is a great way to snooze in warm comfort, when you're out camping or backpacking. The 50D polyester taffeta used to build this sleeping bag is a robust material, ensuring that your product is durable. The 58 in. dual-slider locking zipper stays in place and won't slide, even if you kick around when you sleep. Kelty Eclipse 30 Double Bag (Synthetic) - The Kelty Eclipse 30º has been improved with a hidden pillow pocket, an upgraded shell fabric, and an external storage pocket on the chest. Its luxurious liner, generous elbow room, and cozy CloudLoft insulation pave the way to a good night's sleep. Two-layer, offset-quilt constructionTwo-way locking blanket zipperZipper draft tube with anti-snag designExternal storage pocketPillow pocketBag can be unzipped and opened flat for use as a blanketCaptured cordlockComes in a display boxInternal liner loopsDifferential cut to maximize loft and warmthFatMan and Ribbon drawcordsHide-away integrated storage-compression sack included. Kelty Coromell 20 Degree Sleeping Bag - Kelty Coromell 20-Degree Down Sleeping Bag - If you're looking for a down bag with a little extra room then you'll love the Coromell 20-degree down sleeping bag by Kelty. This 550-fill down bag has a bit more girth in the shoulders and a semi-rectangular shape for more wiggle room. With a box baffle construction, zipper draft tube, ground-level side seams and a differential cut you're ensured of maximum warmth. Kelty Ignite DriDown 0 - Kelty Women's Ignite Down 0 Degree DriDown Sleeping Bag - Frosty overnights are no match for the Ignite Down women's sleeping bag from Kelty. 600 fill DriDown creates a hydrophobic finish on each individual down plume. DriDown stays dry longer, lofts better, and dries faster than regular down, keeping you warmer in any environment. Insulation is also optimized for a woman's physique. The mummy shape, ground-level seams, and differential cut maximize warmth. Kelty Basecamp Sleeping Pad X-Large - Kelty Basecamp Sleeping Pad - X-Large Features. Kelty Basecamp Sleeping Pad. The Kelty Basecamp Sleeping Pad is ideal for camping nights and prevents you from having to sleep on the rough terrain. It features polyester microsuede fabric that is dense, soft and stain resistant. It consists of self-inflating die-cut foam in an open cell construction that absorbs air and expands quickly through its dual valves. A suede top is designed to keep you comfortable all night long. Kelty Mistral 0 Degree - Kelty Mistral 0 Degree Synthetic Camping Sleeping Bag - The Kelty Mistral 0 degree camp sleeping bag is ideal for budget conscious campers who want reliable comfort for their winter camping endeavors. Two-layer offset quilt construction with a differential cut maximizes loft and warmth. Extra Cloudloft insulation over the chest area keeps you warm through the coldest of nights. An anti-snag zipper draft tube, full-baffle collar and ground-level side seams prevent heat from escaping. Kelty Ignite 20 Sleeping Bag - Kelty Women's Ignite 20 Sleeping Bag - The women's Ignite 20 sleeping bag from Kelty is a true three-season performer. Light, warm recycled Ecopet insulation and layered offset quilt construction make for a warm night's sleep. The mummy shape and efficient, form-fitting hood seal off gaps and cold spots. A full-length zipper vents extra heat on warmer nights. The Kelty women's Ignite 20 sleeping bag is ready for any overnight adventure. Kelty Camper Pad - A great match to the Kelty Cosmic bags, the Kelty Camper Pad offers comfort to the value-minded camper. Anti-slip dots on one side keep your pad and bag together, or from sliding inside tentDie-cut foam for warmth and supportEasily stores in stuff sackRepair kit includedSelf-inflating. Kelty Deluxe Recluse 3.0i - Kelty Recluse 3.0 I Insulated Sleeping Pad - Check out the inflatable Recluse 3.0 Insulated sleeping page from Kelty for a luxurious nightÃ¢? ?s sleep at camp. With a full 3 inched of thickness plus added insulation, the Recluse 3.0 pad will smooth out any campsite. An integrated hand pump makes inflation easy. Larger outer tubes provide a nesting effect so you stay centered on the pad. The Kelty Recluse 3.0 I Insulated sleeping pad keeps you warm and comfy all night long.160g/m2 of synthetic insulation bonded to the top layer for added warmth. Kelty Ignite 20 Degree DriDown Sleeping Bag-Regular - Kelty Women's Ignite Down 20 Sleeping Bag - For outstanding three-season performance anywhere from the desert to the Pacific Northwest, check out the Ignite DriDown 20 sleeping bag from Kelty. 600-fill DriDown insulation creates a hydrophobic finish on each individual down plume. DriDown stays dry longer, lofts better, and dries faster than regular down, keeping you warmer in any environment. Insulation is also optimized for a woman's physique. Kelty Callisto 0 - A feature-rich option for 3-season camping, the Kelty Callisto 0 Degree sleeping bag offers a roomy rectangular cut and reliable synthetic insulation for cold weather, family style camping. Two-layer off-set quilt constructionSleeping pad security loopsTwo-way, locking blanket zipperZipper draft tube with anti-snag designTwo bags can be zipped together to form a double wideStuff sack included5 lbs 4 ozCan be fully unzipped and opened flat for use as a blanketDifferential cut to maximize loft and warmthFatMan Ribbon drawcords80" x 34"Captured cordlockInternal liner loops. Kelty Recluse 2.5I (Insulated) - Kelty Recluse 2.5 Insulated Camping Sleeping Pad - The Recluse 2.5 Insulated Sleeping Pad by Kelty has 140g/m2 of synthetic insulation bonded to the top layer and is designed for backpackers that find themselves out all-year round. With 2.5 inches of support, this air channel pad is designed to assure a stable, sound nights rest. The advanced design incorporates a quick and easy integrated hand pump for efficient inflating and deflating.